There are many tips out there on how to be an effective manager, but it goes to another level when you’re managing a remote team. Your workers are out of sight, and it’s very important that you manage them, hire the right people, and still stay sane in the process! 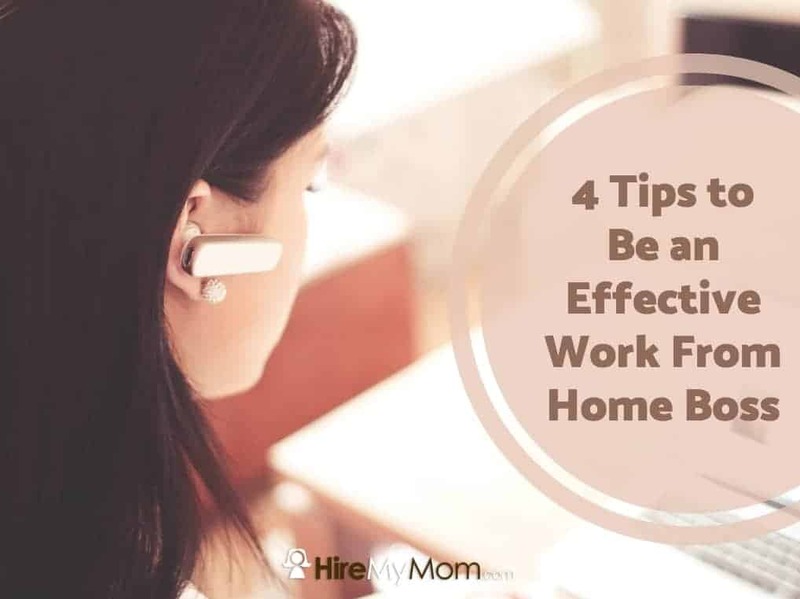 Managing home based employees can be a challenge at first, but it will give you more flexibility and freedom if you master it. Read along for some of our best tips for management of remote teams. Since you can’t physically be with your employees, it can be tempting to micromanage every task, client, and project. But this goes against everything that work from home can be – flexible and less stressful. You must start by trusting your employees, and that comes with hiring the right people. Hire those who know if they’re productive independently, and who never give you reason to question what they’re up to. With work from home jobs, it can be helpful to have a trial period of 30-60 days so you’re able to see this in real time. Although your company is remote, it’s important to get together in person if and when you can. Whether it’s for a mini retreat, incentive trip, or convention that will build your knowledge, it’s helpful to get your team together. When you get together in person, you get a chance to really connect. You build relationships, get to know each other, and discuss the business, which ultimately builds more bonds and solidifies trust. On top of this, it can be fun for a remote worker to get to meet their team in real life. Don’t forget that they also don’t get to see their co-workers very often, so you can bring this benefit to them and allow those relationships to strengthen as well. When a team is reliant and trusting among co-workers, everything runs more smoothly and more effectively. There are many programs – free and paid – that allow you to more easily communicate with your team via video. You have the free options of FaceTime, Skype, and the free option of Zoom meetings. For paid options, you can utilize chat options such as Slack, Sococo, or any other online communication program that also features video. Even if you don’t do video communication on a consistent basis, it can still be fun to do from time to time. When you aren’t using the video feature, be sure that you’re still communicating often. Group texts, client management systems, and Facebook chat are all great options. While you shouldn’t be consistently micromanaging, keeping tabs on your team is still key. Ask for detailed timesheets if that’s helpful at first, or you can do daily summaries. Whatever you need to feel at ease, while still allowing your team some freedom, is very important. You can also utilize tracking software and time management software, if your team should need that. Establish a solid process for reporting results and deliverables to the company and/or to your clients. At the end of the day, this is your business, and work still needs to be done. Becoming a manager of remote teams is all about the balance! Take some time to figure out what you need to feel comfortable, while still giving your team trust and getting the work completed.